Eshots are one of the most commonly used forms of internal and external communication within Air BP. Subject matters include communicating new web functionality, customer newsletters and personal video messages from the CEO to important commercial aviation customers. 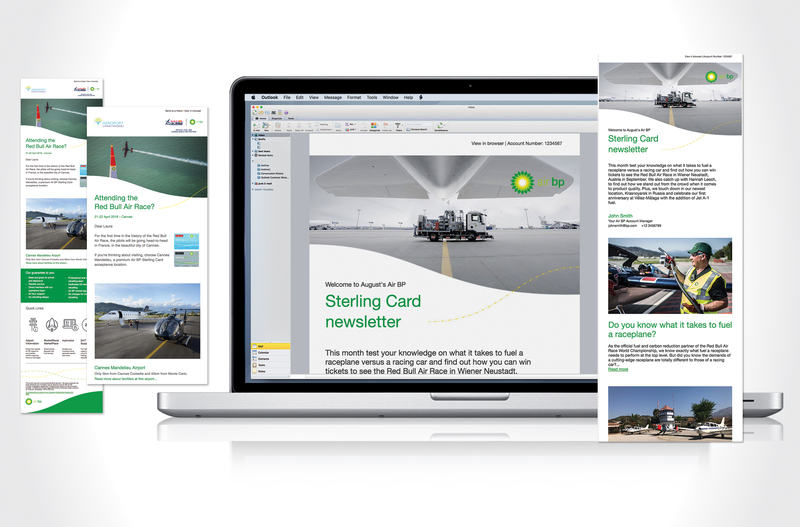 The result was an efficient and effective campaign for Air BP, enabling reporting and measurement of the effectiveness of every piece of communication via Air BP’s preferred email management tool.